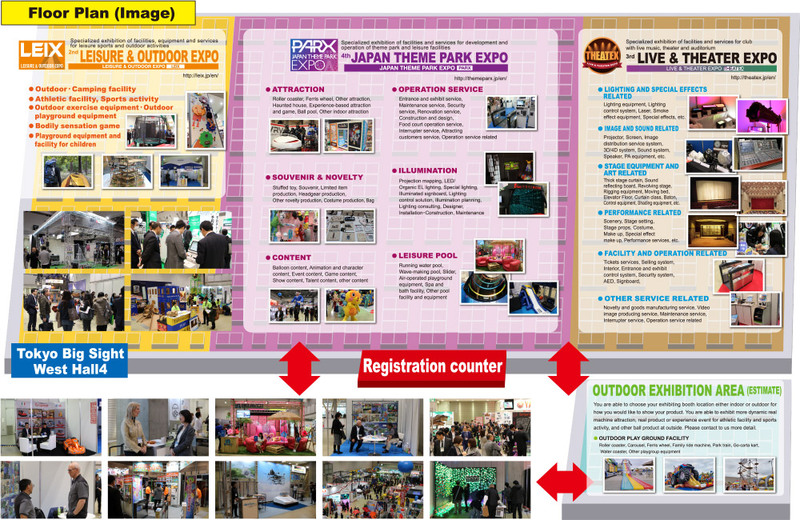 *JPY10,800/booth will be discount for continuous exhibitors from JAPAN THEME PARK EXPO 2017. *Our agents may have their own price, so please follow the price the agent offers to you. *If you have agents or distributors in Japan, the local price and benefit are subject to your booth fee. Space only plan is not included basic panels. Please apply for Rental Package Plan or decorate your booth with your own booth constructor/designer. Rental Package Plan is available if you do not have own decorator. *1All prices are included VAT. *2 Space only　*3 Corner space will be applicable for applying more than 2 booths. Early Bird Discount (JPY32,400/booth) is available for application who submit the application by the end of August 2018. Also, 1 Corner Space Charge will be free if you applied more than 2 booths. Booth Dismantling Preiod Immediately Follows The Show Ends.